Here at Titan Storage solutions, we provide a wide range of personal and business storage solutions near Coventry that have been designed to accommodate your bespoke storage needs. 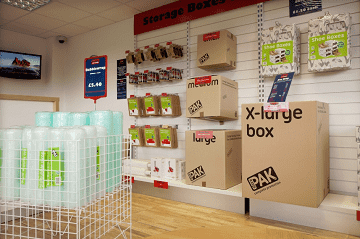 Located in the heart of Solihull and within easy reach of Coventry, your local Titan Storage facility in Solihull offers premium storage solutions that are ideal for storing a wide range of goods. So, whether you’re in the process of moving house or de-cluttering your office space, your Titan Storage Solihull should be your first port of call. 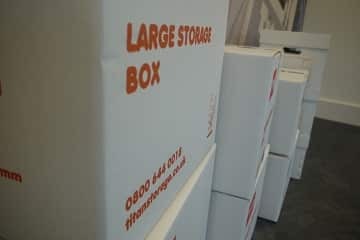 Our clean, modern and spacious storage facility in Solihull provides the perfect place to store and archive stock, or securely store the clutter in your home that you no longer have space for. Situated only a 34-minute drive from the heart of Coventry, our Titan Storage Solihull site has plenty of car parking spaces, trollies and loading bays on site, meaning it’s quick, easy and hassle free to load and unload your goods. To get to Titan Storage Solihull from Coventry, take the A4114, A45 and M42 to Monkspath Hall Road in Shirley and then follow Highlands Road to Stirling Road. At the roundabout, take the second exit onto Monkspath Hall Road, take a slight left towards Highlands Road and, at the roundabout, take the first exit staying on Highlands Road. Turn left onto Stirling Road and you’ll find us on the left.